Travel Guidebooks vs. The Internet: Is One Better Than The Other? 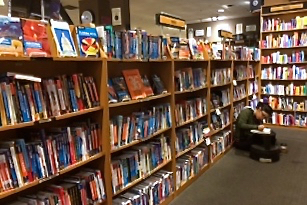 Sales of travel guidebooks have declined significantly in the past few years, but you can still find hundreds of them in bookstores. Obviously, someone still finds them useful. But with so much information available on the Internet these days, are travel guidebooks necessary? One of my favorite activities before planning a major international trip, is to pore over all the information I can get my hands on about the destination. 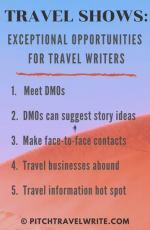 As a travel writer, I’m looking for story ideas to pitch in advance of my trip, and help in planning my travel itinerary. I use travel guidebooks and the Internet for this purpose. There are advantages and shortcomings to both sources of information. I’m one of the people still using guidebooks as a good source of information, especially when I’m traveling to an international destination. Guidebooks provide useful listings of attractions and museums at a destination. They give thumbnail descriptions of local customs and history, plus other information that’s helpful to travel writers. And some guidebooks have great pictorial maps with easy-to-follow walking tours that take in the most important sights. They help you plan your daily travel itineraries with little effort. Give me a stack of guidebooks, a highlighter, and an internet connection and I'm in heaven planning my itineraries and searching for story ideas before a trip. But, I’ve found that a single travel guidebook never has a complete listing of every attraction at a destination. The overlapping information from studying two or three guidebooks helps me assemble a more complete picture of my destinations. Guidebooks also may not list your specialty points of interest. As a World War II enthusiast and writer I’m always disappointed by the inadequate (or non existent) listings of war museums and related military sights like monuments, memorials, cemeteries, fortresses, and battlefields. To complete the picture, I use the Internet to mine those last nuggets of information about my specialty attractions. Some travel guidebooks are written in such small print and have layouts that are so hard on the eyes, that they automatically exclude themselves when I make my choices at the cash register. (Guidebook publishers please take note! You’re missing out on a lot of sales because people don’t want to wade through small print or decipher a complicated layout that makes their eyes shimmy). No matter which guidebook I purchase, I always ignore several guidebook chapters completely. 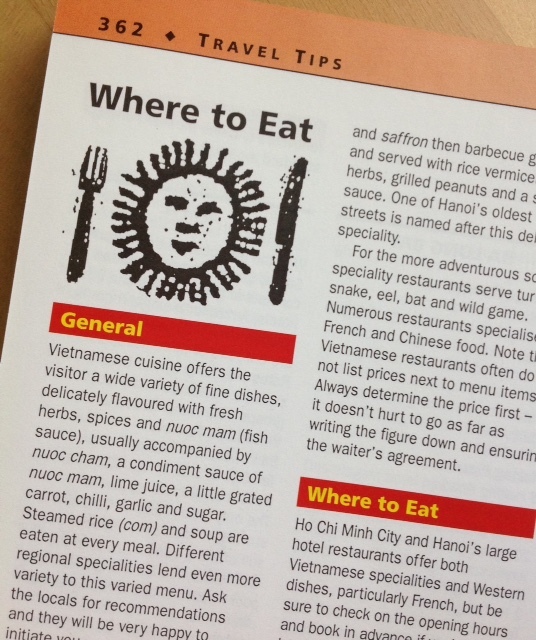 “Where to Eat” chapters are redundant. The average guidebook takes 18 months from final draft to hitting the bookshelves, and some take even longer. By the time you are read the guidebook, many restaurants will have gone out of business or changed hands. Once you’re at your destination, you’ll find that guidebook restaurants are clear across town from where you are staying, making them impractical to visit anyway. Who wants to spend an hour on the Paris subway to get to a restaurant, and then try to figure out the reverse trip after a bottle or two of wine? Kind of takes the romance out of it, n’est-ce pas? I find spontaneous restaurant discoveries far more rewarding experiences than guidebook “dining out experiences” where most of the patrons are tourists anyway—and where you pay exorbitant tourist prices for average food. The hotel concierge can usually point you to better local options if you’re unsure of where to go. I also tend to ignore guidebook hotel listings. On a trip to Borneo I suggested to my wife that she use one of our guidebooks to find a hotel. In one of her weaker moments, she listened to me. The hotel turned out to be a lot less than advertised. What was worse, she realized if she had done an Internet search she would have found a much better alternative for about the same price. My advice is to use guidebook hotel and resort listings as a starting point, but always do an Internet search to supplement that information. I love the internet but it’s not perfect either. The Internet is an excellent source for finding accommodations. The descriptions are certainly longer and better because there are no space constraints on websites, while guidebook listings tend to be one-sentence briefs. You can peruse hotel websites with photo galleries of their hotel, rooms, and facilities, while guidebook hotel listings have no space for photos. Taking some time to read the comments posted on TripAdvisor.com and other similar sites can also help you make your decision about where to stay. Quality control is still an issue with reviews posted online, so be wary and read carefully. Some people are never satisfied with their hotels, and their comments will reflect this. To further confound hotel reviews, sometimes rival hotels post nasty comments about their competitors to drive potential guests to their own place. Look for trends. Read between the lines. It’s often wise to ignore the worst few comments and the best few comments. Try and zero in on what the majority of guests say about a hotel before making your decision. 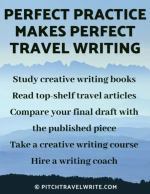 It helps to remember the comments in travel guidebooks and on the internet are written by travel writers who are subject to the same human flaws as the rest of us: vanity, pride, arrogance, and ego, to name a few. 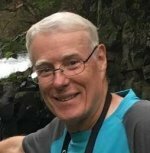 A prominent publisher who has practically become the generic term for guidebooks does not hesitate to publish scathing reviews by people who clearly did not have a good experience at a hotel or hostel. Or, maybe their writers were snobbish and had unrealistic expectations. When reading guidebooks with an obvious bias, we need to remind ourselves that this was just one person’s subjective experience. Their description may not reflect the true quality of the hotel or attraction, good or bad. Thousands of other people may have been satisfied, or dissatisfied, with the same place. Guidebooks that publish poor reviews can affect local businesses badly—even put them out of business. Blacklisting a hotel, hostel, or resort seems spiteful to me. If a guidebook writer doesn’t like a hotel, they are better off leaving the offending hotel out of the book. I don’t believe any guidebook should have the power to close a business down in another country. Aside from unfair or biased hotel descriptions, a few guidebooks still display an appalling arrogance and lack of cultural sensitivity. It stuns me to think the editor would even consider printing the snide and condescending remarks that I’ve read about museums and other attractions. Take some time to browse through a guidebook before spending your money. If you find immature and subjective descriptions that seem to have been written by a petulant 12-year-old, put it back on the shelf! Go Light. For some reason, travel guidebooks tend to be heavy - too heavy to carry with you when you travel. If you carry them with you, you’ll end up throwing more important things out of your suitcase when you weigh in at the airport. Instead, try this: prior to the trip, photocopy only the pages you need, and leave the book at home. Then, discard the pages as your tour progresses when you’re finished with each page. Better yet, be earth friendly and scan the pages you need then load them onto your iPad (or other portable device) if you’re traveling with one. 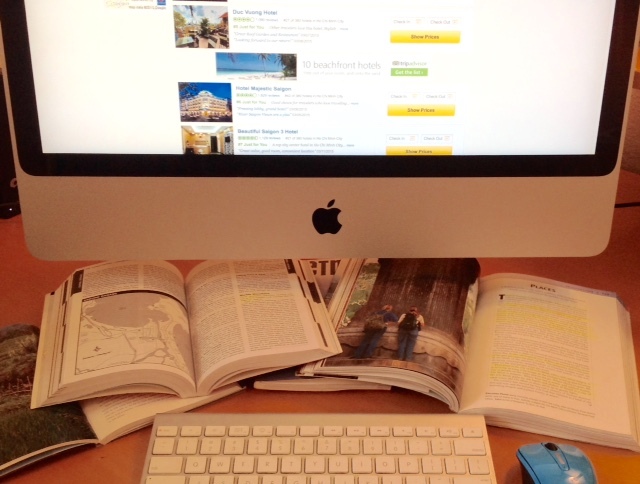 Scanning pages from your guidebooks for reference on the road saves space and weight. The small stack of guidebooks on the left weighed in 4.2 pounds! An iPad weighs less than 1 pound and is useful for other purposes like email, maps, and eBooks, too. Own It. I don’t bother checking travel guidebooks out of my local library. Guidebooks at my library are frequently stolen or already checked out. They’re also woefully out of date—usually by two or three editions. I prefer to buy them. If you own it, you can write and highlight in the guidebook, something that would cause a stern rebuke from your local librarian. Find Your Favorites. Which guidebooks are the best? There are several dozen guidebook publishers. I know travel writers who swear by Lonely Planet, or DK, or Rough Guides. The best guidebook is the one you find the easiest to read and navigate - meaning it has the best layout for the way you process information. I prefer DK guidebooks, with their numerous small pictures, diagrams, and concise summaries. Other travel writers prefer guidebooks with lots of words. Use whatever guidebook works for you. If you spend some time comparing guidebooks, you’ll easily find what you like best. Browse Before Buying. Compare the following things when purchasing your guidebooks: cost, size of print, readability and format, photos, maps, the number of pages dedicated to your destination, and the overall depth of information. Once again, browse before buying so that you’re happy with your purchase. Splurge. Because of their inherent flaws, travel guidebooks are not the only sources you should use when researching your destinations. Use the internet, too. But travel guidebooks do serve a good purpose. I recommend that you read more than one. Don’t be a cheapskate - buy a couple that look interesting to you. If it’s a big trip you’re planning, it’s easily worth the cost for the convenience of having the information at your fingertips while you’re researching potential travel stories and planning your travel itinerary. They also come in handy later as a reference when you're writing your travel stories.